By Allan Fox: WBC light heavyweight champion Adonis Stevenson (29-1, 24 KOs) has accepted newly crowned WBA World 175 lb. champion Badou Jack’s challenge to fight him in a unification match. Stevenson, 39, wanted to fight a unification match against IBF/WBA/WBO light heavyweight champion Andre “SOG” Ward, but there doesn’t appear to be any interest in making that fight from his side. Stevenson says he wants Jack’s WBA title to add to his collection. Jack (22-1-2, 13 KOs) looked superb last Saturday night in moving up from the 168 lb. division to beat WBA World light heavyweight champion Nathan Cleverly by a 5th round knockout on the undercard of the Floyd Mayweather Jr. vs. Conor McGregor card on Showtime PPV at the T-Mobile Arena in Las Vegas, Nevada. This was the best that Jack has looked in a long, long time. ”Congrats Badou Jack, now that you have a belt , I want it. Andre Ward is wasting my time. Let’s fight… @Showtime Boxing @premierboxing,” said Stevenson on his Twitter. Jack looks good at 175, but he would have a lot of problems with Stevenson’s heavy hands and his hand speed. Jack doesn’t hit with that kind of power, and he’s never faced a puncher with the kind of power and speed that Stevenson going for him. Jack would need to improve his defensive skills for him to have a chance against Stevenson. He wouldn’t be able to beat him by standing in the trenches with him the way he was doing against Cleverly last Saturday night. Jack was squared up in front of Cleverly and letting his hands with one bomb after another. That would be dangerous for Jack to try the same thing against Stevenson. He would unload on Jack if he tried to fight him like that. Badou said he’s open to facing Stevenson in his home country of Canada in order to make the fight happen. That goes without saying though. Stevenson is huge draw in Canada, where he brings in lots of boxing fans to come to see his fights. Jack is not big a draw in the U.S. He’s from Sweden, and he now lives in Las Vegas, Nevada. Jack vs. Stevenson wouldn’t likely sell tickets if it were staged in the U.S. The only place where a fight between these two fighters makes sense is in Canada. It’s unclear whether it’s worthwhile for Stevenson to make the fight. Jack isn’t a big enough name for Stevenson to get much for that fight other than the chance to win another title. We’ll have to see if Stevenson is honestly interested in the Jack fight or if he was just talking to show his boxing fans that he was responding to being called out. 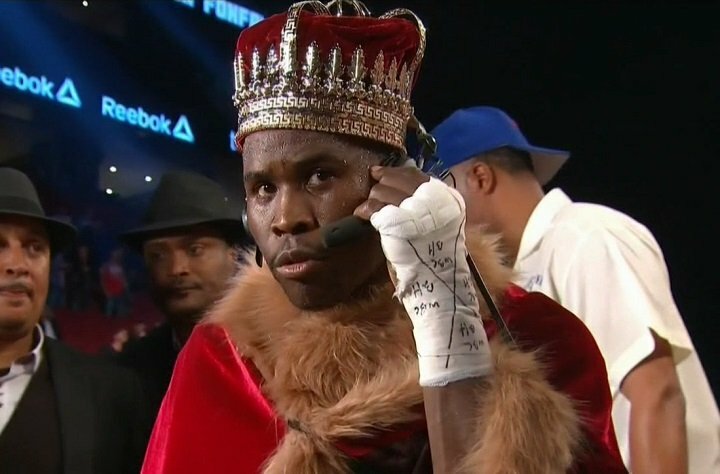 With Jack, 33, calling Stevenson out in front of millions of boxing fans in being interviewed after the Cleverly fight by Showtime’s Jim Gray, Stevenson had to say something to his loyal fans. If he had stayed quiet, they would have concluded that he’s afraid of fighting Jack. If Stevenson is truly interested in the Jack fight, he’ll start negotiations with him right away. Fighting Jack would have one potential benefit for Stevenson. It would allow Stevenson to temporarily swerve his #1 WBC mandatory challenger Eleider Alvarez for a little while. Stevenson likely easily beats Alvarez and Jack. Stevenson is fighting at such a high level right now; it’s difficult to picture him having any problems with Alvarez and Jack. Stevenson would have the speed and power advantage over Jack and Alvarez. It would be a great Jack opportunity for him to show the boxing world his skills if he can get a fight against Stevenson. However, it might end badly for Jack in the same way it did for him in his 1st round knockout loss to Dereck Edwards in 2014. Still, even if Jack loses to Stevenson, he’ll make a lot more money fighting him than he will in defending his WBA crown against his mandatory challenger Dmitry Bivol. Jack might lose that fight to Bivol. It’s a fight that many boxing fans see as a toss-up. Bivol is powerful, young, and looking invincible right now. He’s like a bigger, more powerful version of Sergiy Derevyanchenko. Bivol has a lot of boxing skills to go along with his huge punching power. If Jack can’t get the unification fight against Stevenson, there’s a good chance that he’ll lose his WBA title in his first defense against Bivol. This is why it’s very important that Jack fight Stevenson. If Jack is going to lose to someone, he’s better off taking the bigger paying fight against Stevenson rather than facing Bivol and getting de-throne by him. Stevenson recently beat Andrzej Fonfara by a 2nd round knockout in their rematch on June 3. Stevenson received a lot of criticism from the boxing public for electing to fight Fonfara again, as he’d already beaten him by a 12 round unanimous decision on May 24, 2014. A rematch between them was unnecessary. If Stevenson can’t get a fight against Andre Ward, then a unification fight against Jack would be the next best fight that can get made until the likes of Artur Beterbiev can win one of the belts. Stevenson vs. Beterbiev is a natural fight to make. Beterbiev’s career has slowed recently with him dealing with injuries and promotional problems. It would be good for boxing for Beterbiev to win one of the world titles at light heavyweight and then to face Stevenson in a unification fight.